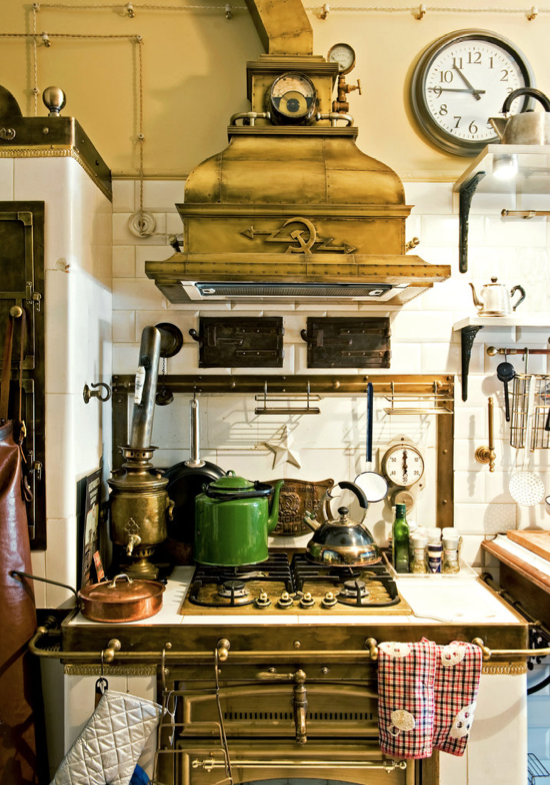 kbculture: Back in the U.S.S.R.
With Russia never far from the headlines these days, here's a look at the kitchen in the St. Petersburg apartment of designer Sergei Bobovnikov. He's conjured a 1930s Stalinist theme, here and in the bathroom, too. 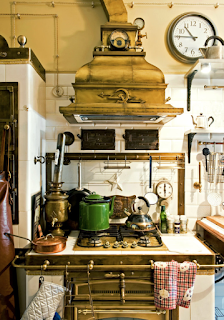 Look closely, and you'll notice that the handle on the oven door is a repurposed samovar spigot.